I have met a group of residents staying in Ang Mo Kio quite recently and we ended up talking about food choices in this area. 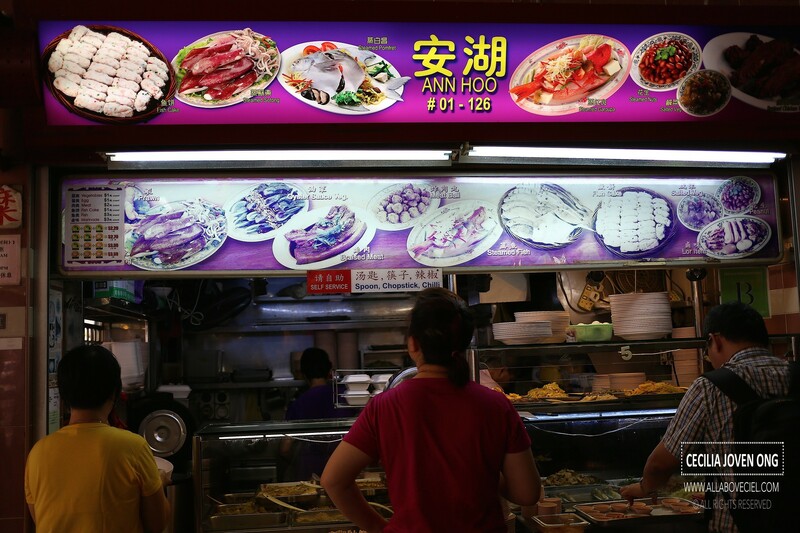 This is one of the stalls that is strongly recommended and this is quite well expected as this is a rather famous Teochew porridge in this part of Singapore. I had eaten at this stall a few times before and i enjoyed it. I was there at about 1 pm on a weekday and there was a queue about 6 people at at that time. I joined in the queue quickly and waited for about 15 minutes to order. 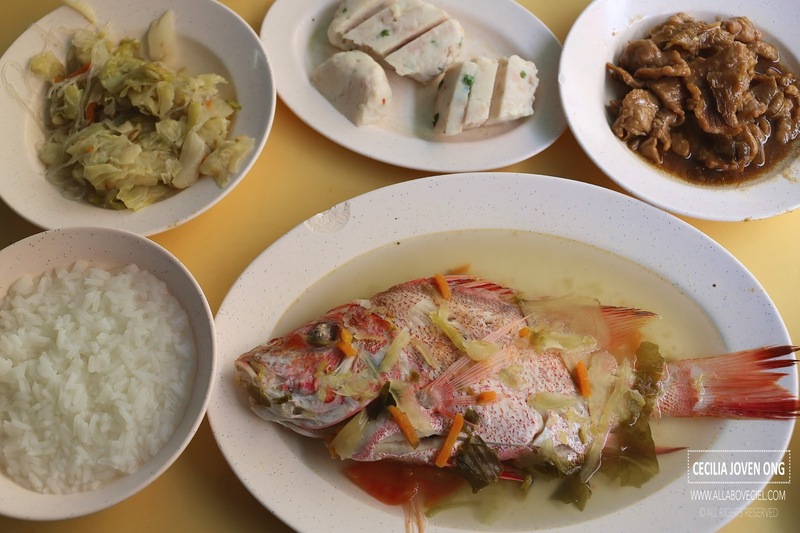 This stall is well-known for their affordable yet fresh tasting steamed fish dishes so it is definitely a must-order. The next must-order item has to be their handmade fishcake then followed by my usual favourites like braised cabbage and sliced pork in soya & sesame sauce with preserved pickles. And, i usually ordered an extra bowl of porridge to go with the dishes. I was expected to give the table number and go right back to wait for it to be delivered and then paid. I could not quite believe that all these dishes together with 2 bowl of porridges only cost $13.80. 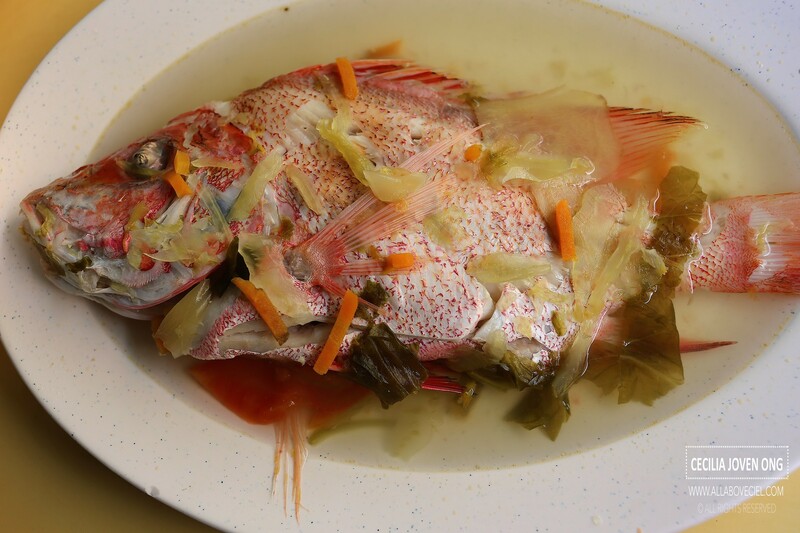 The average-sized red snapper was steamed with bits of carrots, preserved vegetable and tomato to bring out its natural sweetness and freshness. It tasted even better if eaten with their fermented bean sauce. Such a steamed fish is usually expected to cost much more but i was told it is only in between $6 to $7 when placing order. Their braised cabbage is an usual favourite that i would order. Though simple tasting but it reminded me of my late Grandpa as this is a homely dish that he used to cook when i stayed with him. 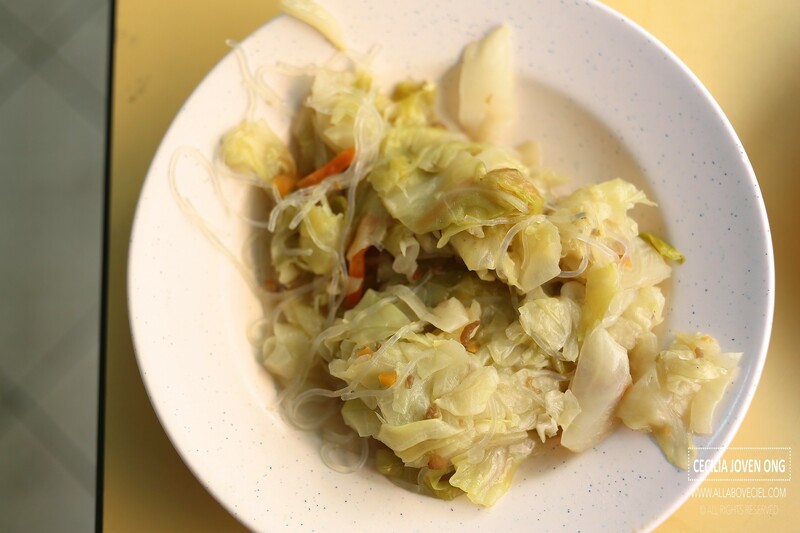 Their braised cabbage is amongst one of the better ones that i ever tasted. They managed to cook it just right to give it a slight crunch and lightly flavored with bits of dried shrimps added to enhance the taste. Their steamed fish cake is a popular choice and almost every table there ordered it. 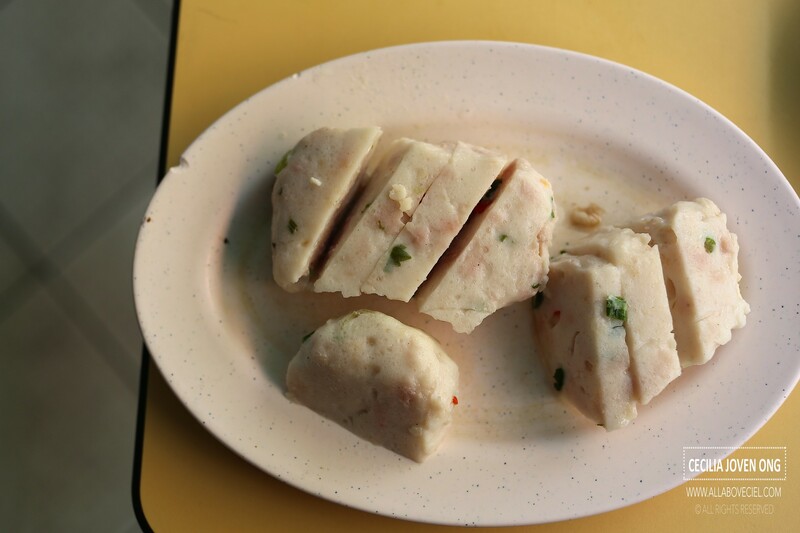 It was moulded from the fish paste with bits of chilli and chopped spring onions added before they steamed it. It went really well with their special chilli. 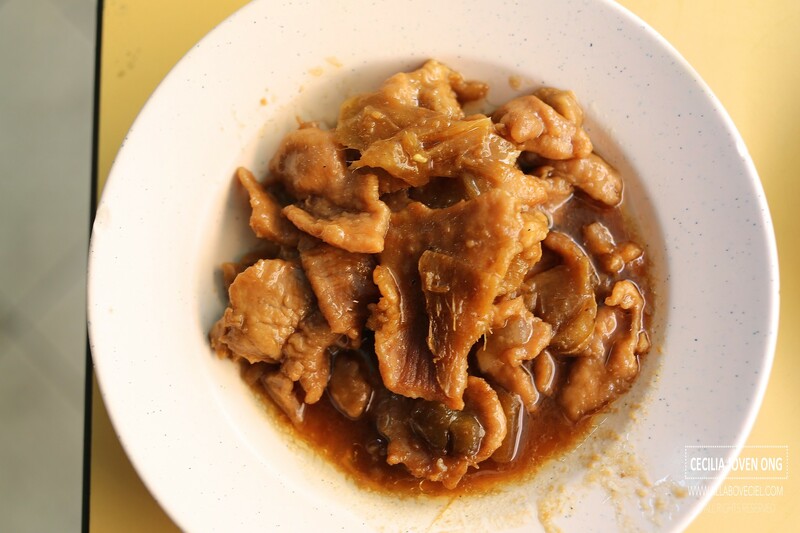 Another regular choice has to be their sliced pork cooked with soya and sesame sauce together with preserved pickles. This is a perfect dish to go with the plain porridge and i usually poured the sauce into the porridge to flavor it. I absolutely enjoyed this comforting taste. Their constant long queues are the good indication of their popularity. You should try it if you happen to be this food centre.